New Delhi: Rajya Sabha Chairman M Venkaiah Naidu's rejection of the opposition's impeachment motion against Chief Justice Dipak Misra triggered a political slugfest today, with the Congress saying it would challenge the "illegal" order in the Supreme Court while the BJP "thanked" him for warding off an "act of blasphemy" towards the Constitution. The Left also criticised Naidu with CPM general secretary Sitaram Yechury saying his order showed "a certain degree of non-application of mind" as he did not follow laid-down rules. 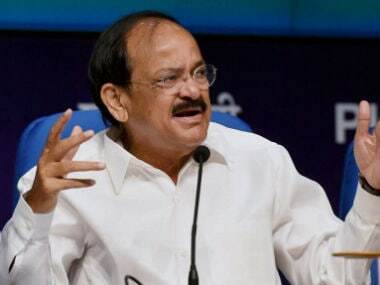 Following extensive consultations with legal and constitutional experts, Naidu on Monday rejected the notice given by the Opposition parties for impeachment of CJI Dipak Misra citing lack of substantial merit in it. Congress leader Kapil Sibal, seen a prime mover for the impeachment motion against the CJI, told reporters that Naidu's decision had "shattered" the confidence of people. “To say the least, the order is unprecedented, illegal, ill-advised and hasty," Sibal said, adding that it had been passed without a full-fledged enquiry. "We will certainly move a petition in the Supreme Court to challenge this order... It is illegal because the chairman has passed an order which is required to be passed after a full-fledged inquiry," Sibal said, adding that the Rajya Sabha chairman had to only ascertain whether the motion was in order. As the Congress hit out at Naidu, the BJP jumped to his defence and said the Rajya Sabha Chairman's office is not a post office meant to forward the applications it received but it has to apply its mind judiciously which he did. "We thank him. 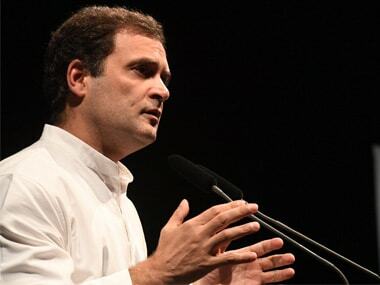 He did not allow his office to be misused, " BJP spokesperson Meenakshi Lekhi said. She cited Naidu's order in which he referred to use of words like "prime facie" and "may have been" by opposition parties in their charges referring to the CJI to highlight that their allegations indicate a mere suspicion, a conjecture or an assumption against him. 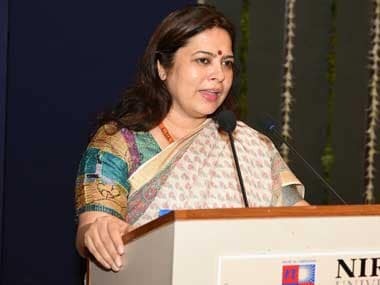 "It was the grossest abuse of power of impeachment by the Congress," Lekhi said, terming it an act of blasphemy towards the Constitution. She accused the Congress of adopting "intimidatory" tactics towards the Supreme Court and said its move was not an attack on the individual but an institution as it wanted to create anarchy by making people "lose" faith in the judiciary. She claimed the Congress was trying to create an impression in the world that India was a banana republic, something it had turned the country into when it was in power, by "disrupting institutions", and added that its institutions were "very strong" and command reverence of people. 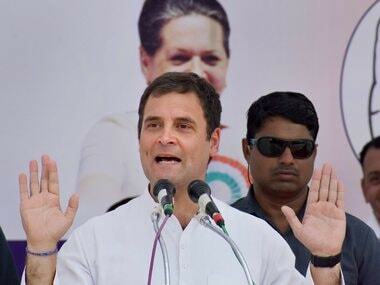 The Congress is confusing rule of law with "rules of dynasty", she said. Earlier, Sibal said “never before in India's history” had a motion moved by MPs been dismissed at the preliminary stage as he attacked Naidu. "It is our privilege to move the motion. You cannot boot the privilege in this manner," Sibal said, adding that the government is very keen that charges made in the petition must not be allowed to be inquired into. The CJI would have nothing to do with their petition challenging the order, Sibal hoped. 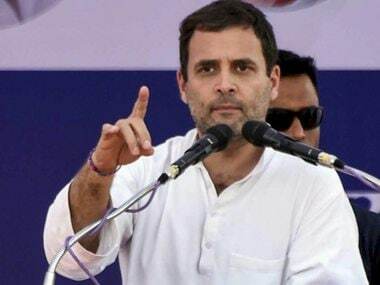 Congress media-in-charge Randeep Singh Surjewala described the opposition's move as a fight between forces "rejecting democracy" and voices "rescuing democracy". Surjewala said within hours of 64 MPs submitting the impeachment notice, Leader of Rajya Sabha Arun Jaitley had shown "naked prejudice" by calling it a revenge petition, "virtually dictating the verdict" to the Rajya Sabha chairman. Besides the Congress, MPs of the CPI, CPI(M), NCP, SP, BSP and the IUML were signatories to the notice. In Hyedrabad, where he was yesterday re-elected the general secretary of the CPI(M) for a fresh term, Yechury also slammed Naidu's decision. "I am sorry to say that about the honourable Vice-President and Chairman of Rajya Sabha (Naidu), but I think that the methods, that had been very clearly laid down — both in the constitutional procedures and the rules — have not been followed," Yechury told PTI. He said the presiding officer of either House, in which the impeachment motion has been moved, does not have the discretion to independently decide about the validity of the motion. The motion needs to be referred to a three-member committee, which normally should include a Supreme Court judge, a high court chief justice and a jurist. Yechury said if that committee gives the findings, saying the impeachment motion is untenable, then the Chairman could have taken the decision. "I can say this with a certain degree of experience, because... (of the impeachment notice) I moved against Justice Soumitra Sen of the Calcutta High Court," the 65-year-old Left leader said. The Rajya Sabha had in 2011 passed an impeachment motion against Justice Sen. But, before the motion could be placed in the Lok Sabha, Sen resigned.